Our reputed entity is engaged in supplying Industrial Chemical Pipeline Testing Service. Banking on our enriched industry experience, we are able to supply FRP Pipe Testing Services. We are engaged in offering Cast Iron Pipe Fitting Testing Service. - Testing of PVC Pipes, Cables, Sheets, Grade raw materials, etc. - Testing of PVC Finished Products. 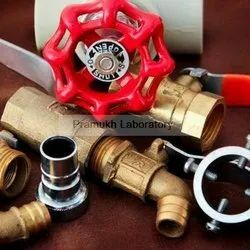 Our company has been successful in winning appreciation from the clients as one of the most prominent names in supply of Pipe Testing Services. We are amongst the most reputed names in the industry, offering Pipe Testing Service. We are a top notch supplier of Pipeline Integrity Testing Service. 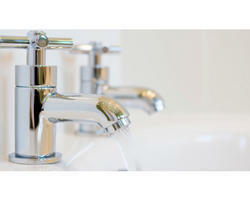 We are amongst the most reputed names in the industry, offering Pipes Testing Services. We are a top notch supplier of Pipeline Testing Services. Testing services for all materials like cement, steel, concrete, water, pipes, bricks, paints, all civil construction materials.